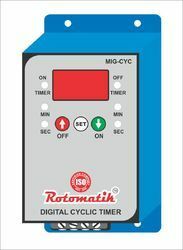 We are a leading Manufacturer of cyclic on off timer-digital, digital cyclic timer, digital off delay timer, cyclic timer, cyclic on off timer and digital cyclic on off timer from Pune, India. With our rich industry experience, we are engaged in offering Gear Pump (MEG Series). The gear pumps provided by us are obtainable in various sizes and have achieved vast admiration for their precise performance & easy maintenance. These gear pumps are processed by utilizing basic components and modernize technology according to the market norms. Apart from this, the offered gear pumps are examined by our competent workforce against various provisions of quality. 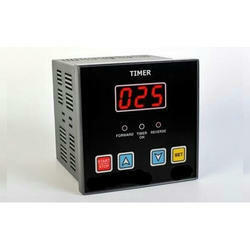 With our rich industry experience, we are engaged in offering Product. The product provided by us are obtainable in various sizes and have achieved vast admiration for their precise performance & easy maintenance. 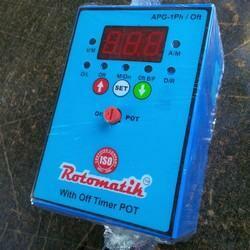 These gear pumps are processed by utilizing basic components and modernize technology according to the market norms. Apart from this, the offered gear pumps are examined by our competent workforce against various provisions of quality. 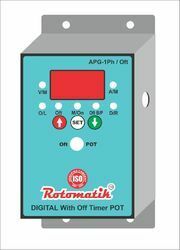 Cyclic On Off Timer- We are an ISO:9001-2008 Co manufacturers of timers,controllers,preventers etc. 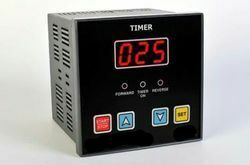 Cyclic Timers we provide are digital type ideal for use in automation circuits and other industrial,irrigation and agri applications. The offered cyclic timers are tested in terms of quality in order to make certain its faultless range. These cyclic timers are available on numerous specifications as per the requirements of customers. 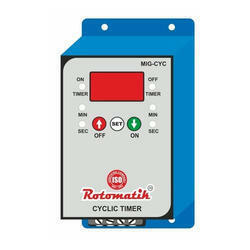 Looking for Cyclic On Off Timer ?